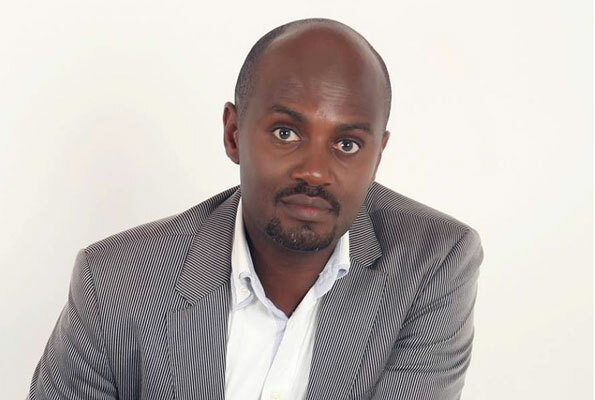 Controversial journalist Andrew Mujuni Mwenda has explained why he works for Uganda’s three-decade president Yoweri Museveni. Mwenda was responding to attacks from supporters of musician and legislator Robert Kyagulanyi aka Bobi Wine. 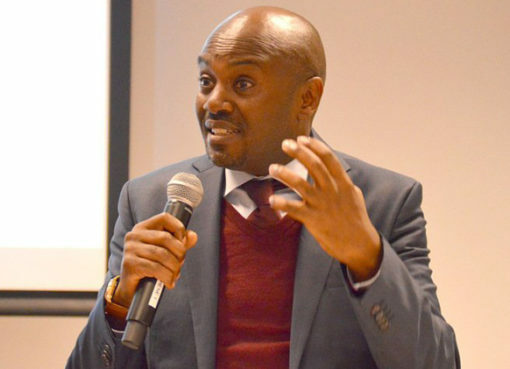 In a recent social media post, Andrew Mwenda said Bobi was unfit to even head a village. Here’s Mwenda’s Open memo to Bobi Wine supporters in which he also justifies his dealings with Museveni. Since I posted my criticism of your hero, Bobi Wine, you have been hurling insults and abuses at me. You have devoted all your emotional energy for an entire week in a vain effort to respond to me. It is clear the sting of my post was deeply felt. You are angry, not because you think I am wrong, but because my truths about your hero is painful to bear. That is why I haven’t read anything that really answers the issues I raised. I care only in passing what you think of me in large part because most of it is fiction. I am not looking for your votes. I write what I believe. If you don’t like what I write, just quit this page. But of course you will stay because you know multitudes of Ugandans follow me and trust what I say. Otherwise you would not be responding to me. Very few of you responded even with the most rudimentary arguments to the issues I raised against Bobi Wine or the facts I adduce against his empty political slogans. I only criticized his lack of historic and contemporary facts. Criticism of his person was only incidental. Your responses proved more that Bobi Wine and you his supporters reflect the crisis of Uganda not a solution to its challenges. One of his admirers, a one Henry Mutebi, wrote a long dissertation of 2,257 words to reply to my post of only 542 words. He devoted his considerable intellectual talent in dissecting my personality, even claiming I am mentally ill and need psychotherapy. Perhaps I am. I will check at Butabika since it is near my home. (I read his piece to the end. In spite of it being entirely a personal attack on my character, he sounded intelligent. What a waste of brains!). Like most of my critics, and typical of Uganda’s opposition “intellectuals,” he did not contest a single argument I made or debunk a single fact I adduced against his hero, Bobi Wine. Instead he made my character the centerpiece of his letter. Let me address myself to my relationship with President Yoweri Museveni. I deal with him. I have found him, in spite of all his faults, a much more liberal, tolerant and open-minded person than you his opponents. I only go to see him when there is an issue I consider of serious national concern. And I go with well-researched facts. And to his credit, each time I have gone seeking a particular decision, Museveni has always listened carefully to the facts I present to him and he has always accepted my recommendations. Where he has disagreed with a particular recommendation, he has explained to me the basis of his disagreement and in most cases I have always found his counter argument convincing. If there is any bribe he has given me therefore, it is this expression of maturity in leadership. Hence unlike his opponents who rely on rumors and hallucinations to inform their opinions on public policy, Museveni is scientific. That is why he is president and they are activists and singers. I admit I find most public debate in Uganda emotional and ill informed. This is a statement of fact not a moral judgment. People have a right to their ignorance and to express their frustrations emotionally. I don’t blame them even though I despise it. Secondly most Ugandan elites I encounter online are lazy, intellectually dull, always thinking within the box and taking no lessons from history. Many feel the sting of my attitude and mistake my irreverence for arrogance. I have no apologies for this. 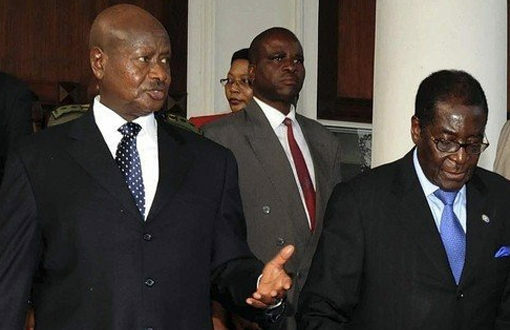 In an ideal world, I would like to see Uganda develop a serious opposition that can challenge Museveni’s hold on power. The problem is that most of those who pose as the alternative are worse – uncouth, intolerant, anti-democratic, uninformed and angry. And I know most of you will mistake “most” for “all.” The opposition lack alternative ideas and believe their anger is sufficient to cause change. Look here friends. You are angry and I share many of your frustrations. But anger does not make history. Power does. And power may be supplemented with anger, but it relies on much more fundamental realities – organization, strategy, social networking etc. You and your cult leaders lack these. You may hate me for telling you this basic truth. I don’t like being hated. However, if it is the price I have to pay, I am will willingly do so. You want power. But your cult leaders don’t understand its dynamics. Power is not something you find and just pick and take. Power (especially Musevenni’s power that you want to wrestle from him) is cultivated, accumulated, harnessed and consolidated. To take it from him, you have to evolve superior organization and strategy, better social networks and a broader vision for our country than simply pointing at his weaknesses and mistakes, real and perceived. Incidentally I think you constitute a majority. But you are deluded to believe you have ever won a presidential election. I agree Museveni’s system fiddles with votes in some areas. But this is because they are strong and better organized. And such fiddling is not the reason you lose. He would win without it. You are not organized to turn your numbers into an effective political force. And the trick of Museveni’s victories is simple: look at voter turnout. In 2011, Museveni got 5.4m votes (68%) and voter turnout was 58%. That translates to about 38% of registered voters. So 62% of Ugandans, a huge majority, didn’t vote for him. Besigye got 2m votes (26%). But he has never asked himself why 42% of Ugandans, more than those who voted Museveni, did not vote. Instead he has deluded himself into the belief that he won and his votes were stolen. This is tragic. I thought 2016 results would teach him something. Alas they didn’t. Last year, Museveni got nearly 6m votes (an increase of only 500,000 or 8% growth). Controlling for the increase in registered voters, Museveni got no growth at all. He declined by 8.2%. Besigye got 3.5m votes (an increase of 1.5m votes or growth of 75% in absolute votes). Besigye’s growth was largely, if not entirely, because of a 10% increase in voter turnout from 58% in 2011 to 68%. And more voters showed up not because of improved organization but greater passion to get rid of Museveni. The facts are obvious. If more of you showed up to vote, you have a chance at winning. But to get so many of your potential supporters to the polling booth requires organization, something your cult leaders ignore and that you don’t understand. The fact that you and your cult leader cannot see this simple fact is certainly tragic for your cause but certainly makes Museveni a very happy man. Right now you are disorganized or unorganized. You can act, but only as a mob. Mobs don’t do things. They destroy things. Majorities don’t rule. Well-organized minorities do. To convert your numbers into an effective political force, you need two things: organization and strategy. Unfortunately your leaders lack both. Museveni is not in power by accident. He is there by organization and strategy. So your Bobi Wine and his rants against Museveni can give you psychological comfort that someone cares and is fighting for your interests. It is also possible he is well intentioned. I know you will ignore the fact that he is ignorant, emotional and lacking in an alternative vision for our country and strategy to get rid of Museveni. So you will choose psychological comfort over uncomfortable truths. But if I have to die for telling you this painful truth, it will be a happy death.